Lael Coleman has been training at Straight Blast Gym as long as any other kid in SBG’s Growing Gorillas martial arts program. The daughter of Brazilian Jiu Jitsu Coach Sean Coleman, Lael has been donning the jiu jitsu gi since she was in pre-school. Coach Sean has three daughters, of which Lael is the youngest. While she maybe the smallest of the Coleman crew, she is arguably the most fierce. Lael is no stranger to competing in martial arts competitions. 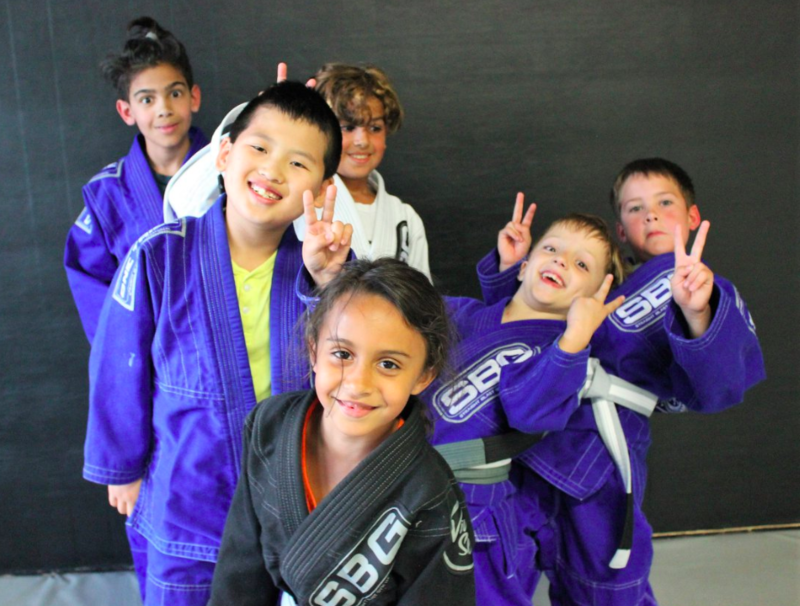 She is a veteran of many Brazilian Jiu Jitsu competitions, and a regular in our kids martial arts classes. Because of her tenacious attitude, Lael has earned her way on to the Submission Samurai competition team; an invitation that is only invited to the most active and dedicated martial arts competitors at SBG. As one of our smaller kids, Lael’s efforts and actions truly are motivating and encouraging. She does a fantastic job of using technique to neutralize and defeat larger kids during sparring sessions. Great job, and congratulations Lael!